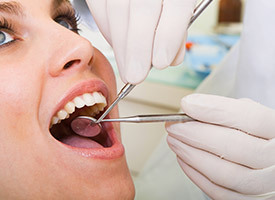 From general dental care to cosmetic dentistry and beyond, Dr. Robison of Robison Dental Group will keep you feeling and looking good with a wide range of services covering your every oral health need. At our Canton dental practice, we take your dental care a step further by offering services to alleviate TMJ headaches as well as sleep apnea and snoring. All of this can be done with the help of our sedation dentistry services, keeping your dental fears at bay so you can enjoy a stress-free appointment.